Having a charge of Driving Under the Influence brought against you can have serious ramifications on your life, including your employment and ability to drive in the district. In every criminal case, you have the right to exercise your right to a trial on the charges pending or negotiate a pretrial resolution or plea with the government. Trials can be stressful to a client and no attorney can guarantee a result. Often, clients feel comfortable with a resolution where they control the outcome of the success of their case. The governmental agency what will be prosecuting a Driving Under the Influence charge against you in the District of Columbia is the Office of the Attorney General (OAG). In determining whether you will be able to accept a Deferred Prosecution Agreement or a Deferred Sentencing Agreement in Washington DC, the prosecutor assigned to your case will take into consideration many things in making an evaluation including: prior criminal record, breath alcohol score, prior driving record, any injuries or damage sustained during the alleged incident, cooperation with law enforcement, age of any minors in the vehicle, and any other factors he or she may deem to be relevant. The attorneys at Bruckheim & Patel prepares intensive mitigation packets on behalf of our clients to ensure the best possible offer to consider prior to setting a case for trial. Our goal is to avoid a criminal conviction on your record. A DUI conviction cannot be sealed in the District of Columbia. A DC Deferred Prosecution Agreement, often referred to as a DPA in DC, is an agreement between the defendant and the government that allows the Court to divert the criminal case off of a trial calendar to a diversion track disposition. During an agreed upon amount of time listed within the agreement, the defendant must complete all the requirements of the DPA contract in order for the government to dismiss the case with prejudice. With prejudice means the government will legally be barred of refiling the charges in the future once dismissed. The terms and conditions are negotiated solely with the government and may include but are not limited to: community service hours, outpatient alcohol and substance abuse program, online traffic safety program, fines, continued job employment or enrollment in school, and a victim impact panel with Mothers Against Drunk Driving. The judge will have no authority to dictate the agreement in a DPA contract. If at the end of the time frame, the defendant has completed all the terms of the agreement and he or she has not been arrested of any new charges based on probable cause, the government will dismiss the charges with prejudice. A DPA does not require the defendant to plead guilty or admit any guilt to the charges. If a case is dismissed through a DPA agreement, the case cannot be used as a prior offense for purposes of an enhancement if you are charged in the future with another offense of Driving Under the Influence. 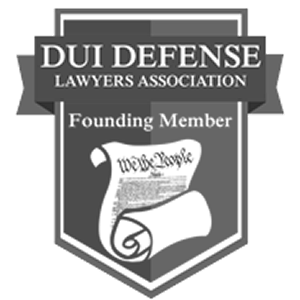 The Department of Motor Vehicles (DMV) cannot use a DPA agreement in DUI cases to revoke/suspend your license because there is no admission of guilt on the record. If you are not a U.S. Citizen, a DPA agreement cannot be used against you in immigration proceedings to make a finding of guilt. DPA agreements, while very desirable for most defendants, are typically not offered in Driving Under the Influence cases in the District of Columbia. Each case is analyzed by the prosecutor based on his or her ability to succeed at trial based on the evidence. The attorneys at Bruckheim & Patel have successfully been able to obtain a DPA in several Driving Under the Influence (DUI) cases from our extensive litigation against the government. A Deferred Sentencing Agreement, often referred to as a DSA, is another form of diversion offered in the District of Columbia. This sentencing diversion offer is an offer typically offered in DUI cases over Deferred Prosecution Agreements by the Office of the Attorney General. In a Deferred Sentencing Agreement (DSA), the same terms of a DPA can apply but a plea of guilty will be held over for sentencing for a certain duration of time, usually (1) year. During the year, if the defendant completes all the requirement, the government will allow us to withdraw the charges and will dismiss the charges. You will have no conviction on your record if successfully completed. A DSA plea and dismissal can still impact your driver’s license and can carry immigration consequences if you are not a United States Citizen. If you do not successfully complete your DSA agreement, the Judge will enforce the plea and sentence you. You will have a DUI conviction and not be able to go to trial on the charge if this happens. It is vital if you enter such a program that you be able to successfully complete it for a positive result. A diversion offer is not guaranteed in the district and decided on a case by case basis by the OAG prosecutor on your case based on the strength and weaknesses of your case. It is vital you pick a law firm that has a great reputation in the community in order to effectively place you in the best light possible to negotiate with the government. If you have been charged with DUI in the District of Columbia, contact us for a free confidential evaluation at 202-930-3464.